Thanks to Joyce for completing our questionnaire about living in Layerthorpe. 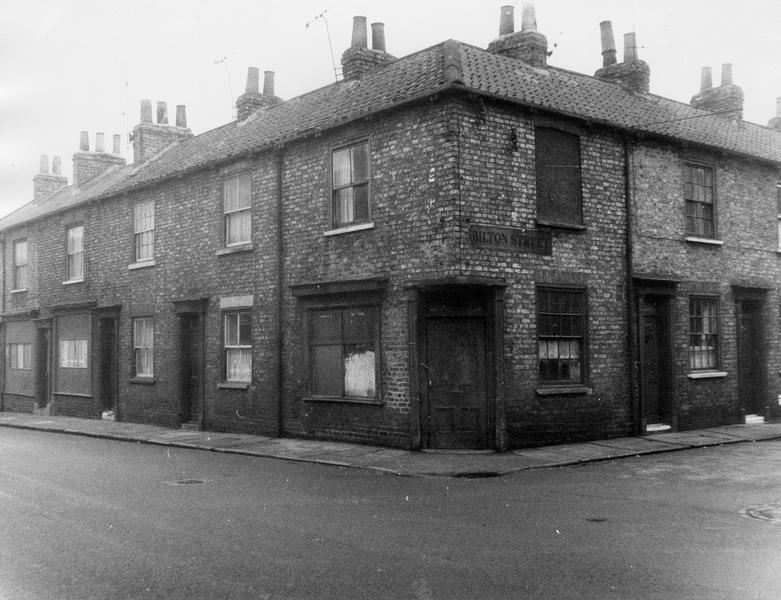 Mum attended Bilton Street school which was across the road from where she lived … she said that she had to walk through pumpers alley to get to school, she remembers that all the children had to have a sleep in the afternoon for about an hour, they would sleep on the floor in the school. The second picture is Redness st showing the entrance to “pumpey passage and Bilton St school. My house was further up on the left. Just updating the info here, with reference to the comments above – thanks Trevor, I’ve been doing some site updates and have now moved the photo you mentioned to the page for Redeness Street. 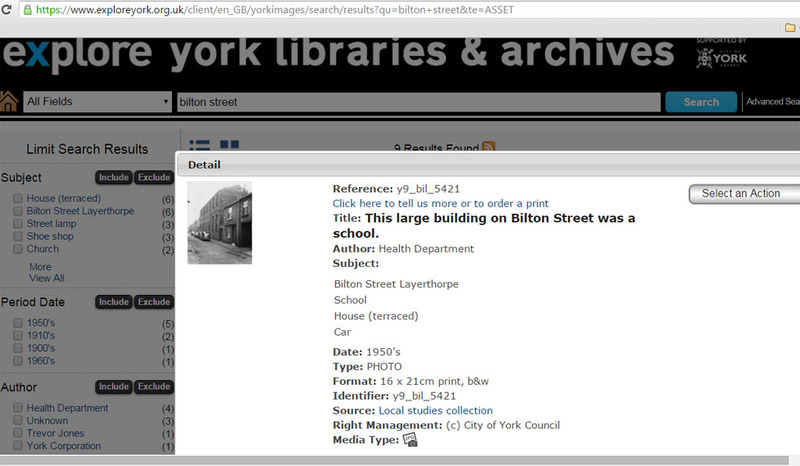 Seems the archives information has now been updated and clarified too, so it says “This large building in this picture is Bilton Street School in Redness Street.” Easy to see how the confusion arose, isn’t it. Presumably the building had entrances on both streets? I hope all the other photos on this page about Bilton Street are in the correct place. But your comment Trevor highlights the importance of local knowledge, which I hope we’ll be gathering more of via these pages. Thank you. I love the names, they didn’t always get added to the maps, did they :) Am guessing that Pumpey Passage led to a water pump? Never saw a pump there but it went through Redeness St into Bilton St. It was also the one covered area to hang out for us “youngsters” before we were old enough to join the Boys Club, never gave it a thought that there was nowhere for the girls to go. I think I’m probably thinking about pumps because I’ve been looking at the 1852 map, it’s a beautiful piece of work: 1852yorkmaps.net/1852/ – and has many ‘pump’ locations marked. 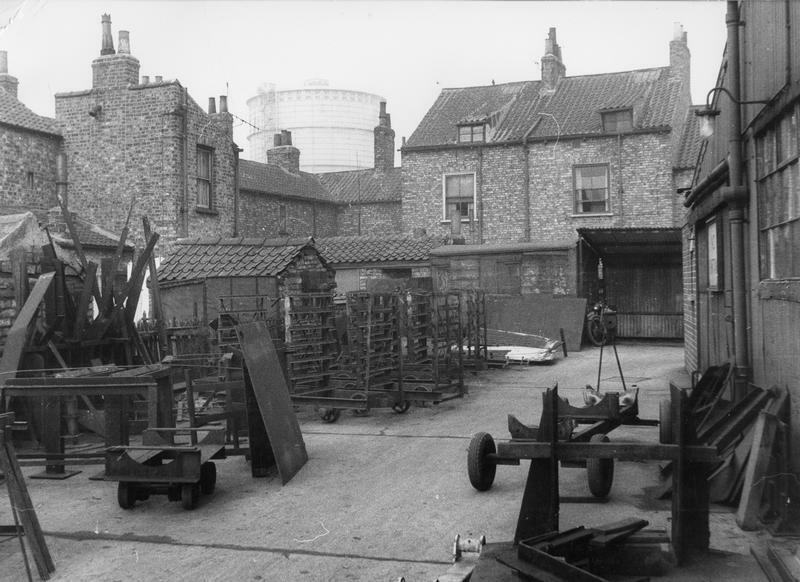 Including in the yards between Bilton Street and Redeness Street (though a century before you lived there). I’ve been up to what’s left of Redeness St and taken some photos, will be adding them soon. I lived at No. 27 Redeness Street for quite a few years too. Thanks for adding this information Joyce and also for filling out the questionnaire. If any other readers of these pages would like to have a look at the questionnaire, it’s on this link. Thanks for all your information and comments. 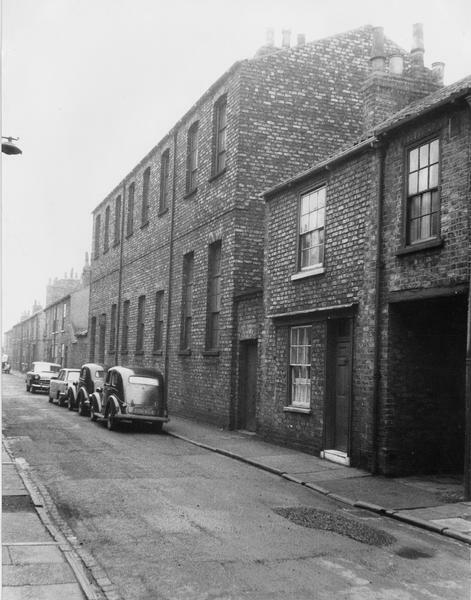 Does anybody out there know the Todd family who lived at 25 Bilton Street, the dad was Walter Todd and the mother was Mildred may Todd formerly Nicholas, there was Ray,Brian and Tommy Todd. Would be grateful for any info, Brian was my dad. I knew a family with the surname Todd, in particular Vera Todd and I think she had a sister called Rosemary. I am sure they lived in Bilton Street. She had other siblings but I do not know their names. I am not too sure about this but I think their mum was called Ellen. Do you think it could be the same family? Sandra, mum Rosemary and her sisters Vera were nieces of Walter Todd. 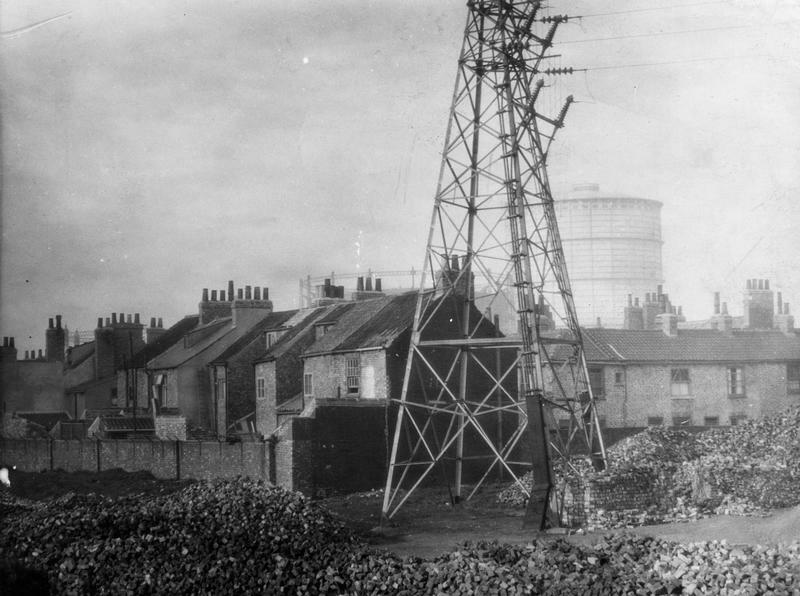 Ellen (Nellie) was my grandma and they lived in Duke of York Street for a number of years before the compulsory purchase by the council resulted in them moving next door to my dad on Tang Hall Lane. Will speak to mum about it this afternoon. Hi Melanie – good to hear from a relative of names mentioned on this site. Didn’t expect that. Ng sure your mother and Vera will remember me. My maiden name is Durkin. Looking forward to hearing more. Walter Todd was my mother’s Uncle,this was given to me by my mum (Rose Senior who lived at 23 Bilton Street, she was one of a family of 13 children). Ada Maloney lived at number 22 and was my mum’s Godmother. I have a Directory dated 1951 that lists all the heads of households for all of york and includes layerthorpe. Ads maloney was my aunty. My mum is the niece of Walter Todd. I know she was at school with her cousin Thomas Todd. I am seeing her this afternoon and will let her know about the website. Mum remembers the Senior family…..
Andy, did your dad come from a large family? If so, it might be the family referred to in earlier posts on this site. Hope this helps. The school was Bilton Street Andy. Andy you should speak to me as i’m your cousin and have started doing the family tree,got quite a bit of info that you might like. Would love to see old family photos if you have any? 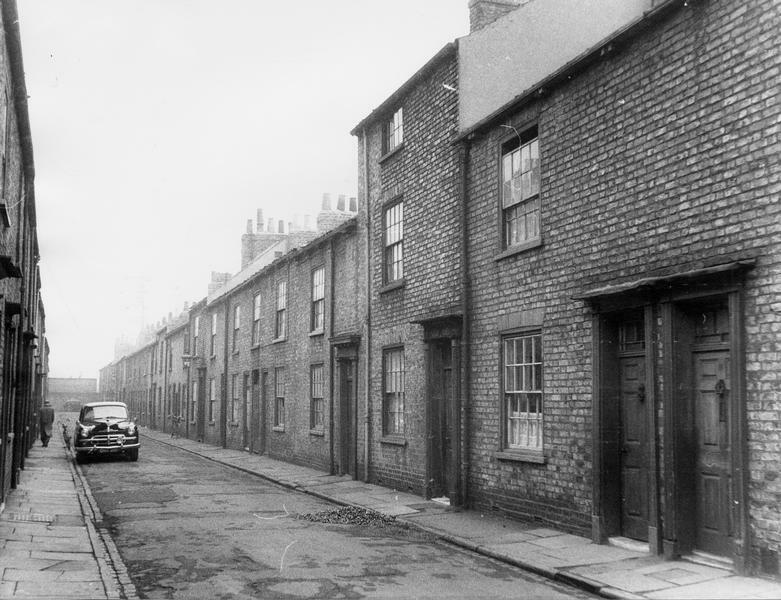 After reading a lot of these wonderful comments of my birthplace, I feel compelled to join in and mention what I remember of Bilton St/ Redness St, Downhill St and of course Layerthorpe itself.I was born in no 54 Bilton St in 1941 and had an older brother and sister, Tony and Alma. Our mother was a war widow and brought us up by doing what countless thousands of other mothers did Post War.In the two up and two down terraced house lived my Gran Florence (Florrie)Chipchase her two sons Freddie and Lawrence (Fred and Lol)my Mum Doris (Dot) My brother Tony And Me. Our sister Alma was brought up by our Great Grandmother Francis Chipchase who lived on Layerthorpe opposite Ginny Wilson,s second hand shop with Mrs miller,s little shop next door. I often went in for half a gill of milk out of the churn. Many of the people I have read about so far are ex playmates, school pals and general pals larking about on the playgee!! !The memories seem like only a while ago dont they.I will join the site again when nostalgia becomes reality, so until then, take care to all the old Layerthorpe residents. Keith. My father in law – Lawrence Chipchase was born at 54 Bilton Street he is now 90 year old – he has read all the comments and found them fascinating – it was lovely to hear all the names and enjoy the comments from his childhood – Keith Jones is his nephew and is still in touch with him. It would be nice to hear from other old residents of Bilton Street. My father, Dennis Durkin is 92. He was born at No 58 Layerthorpe. His parents were Martin and Dorothy. He lived there until he joined the forces (he was a Chindit). After the war he married my mother and they lived at 31 and then 27 Redeness Street. Myself, as the first of their four daughters, attended Bilton Street School. I left in 1956/7 when it closed. I have heard him mention the name Chipchase. Roughly the same age, their paths will have crossed most definitely. My great.great.great grandfather William Chambers lived at 44 Bilton Street in 1841.